I want to make a difference to business owners. I want to help you grow your business and succeed – ideally, to double your business. If this is something that resonates with you please have a look at the resources on this page – all of which come with my complements to get you started on the path to grow your business. 12 Steps to Double Your Business. This free illustrated ebook takes you through 12 steps, which when you follow them, will drive growth in your sales revenue, your personal productivity, team engagement, your impact in the market place, pace of activity and growth within your business. You will find it a succinct, effective and encouraging read equipping you with easy to implement steps to drive the growth in your business. Click on the Download button to the left. * Learn the secrets your competitors are missing. Would you like to add another £10K to your bottom line? If so, Gavin would like to offer you a complementary phone call in which you can you discuss your businesses and any current challenges. Following your 45 minute call with Gavin, you will come away energised and empowered to take immediate action to grow your business. Gavin can only offer 3 of these free calls per month, so sign up now to make sure you don’t miss out. 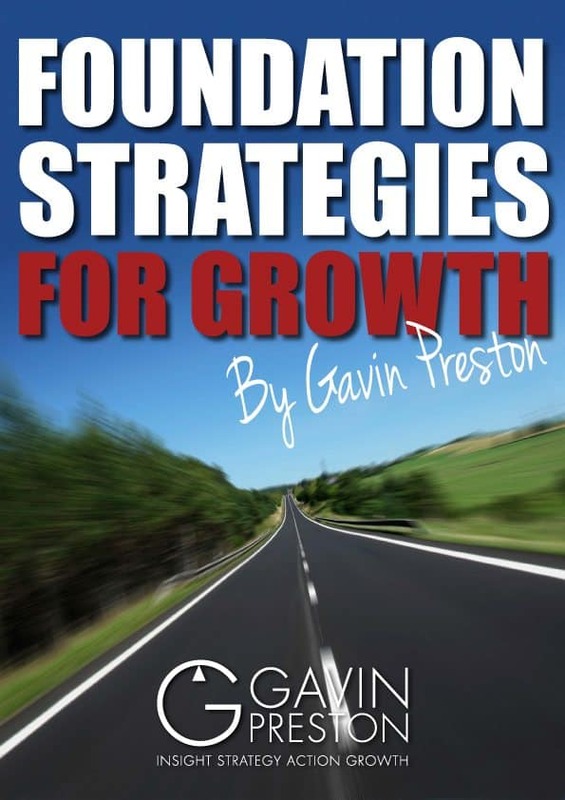 The Strategy Compass is the business growth system developed by Gavin Preston. Click this link to watch Gavin explain how The Strategy Compass works….We are also giving you, with our complements, access to Strategy Compass Lite. This is a series of three professionally filmed videos, totalling an hour, from which you will gain invaluable business insights to help you grow your business. I love to add value and share insights with business owners to help them address issues which are holding their business growth back. Each week I write a blog to share my musings and thoughts. If you can spare two minutes of your time each week to think about the growth of your business, click here. If you would like to get on my list now and receive my weekly blog directly in your in-box, click here.